1. Preheat the oven to 400F. 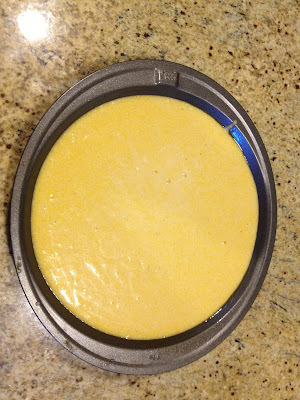 Grease a 9 inch cake or pie pan. Mix 1c. flour, 1c. yellow cornmeal, 2/3c. sugar, 1t. salt, 3 1/2t. baking powder, 1 egg, 1c. milk, and 1/3c. oil. 2. Pour your mix into the pan. Bake for 17-20 minutes. The middle will not be fully cooked yet. 3. 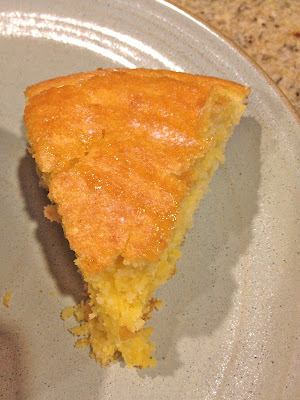 Take a fork and poke holes all over the cornbread. 4. 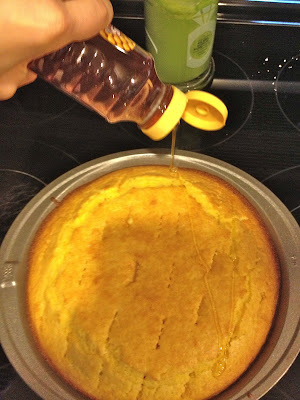 Drizzle honey all over. 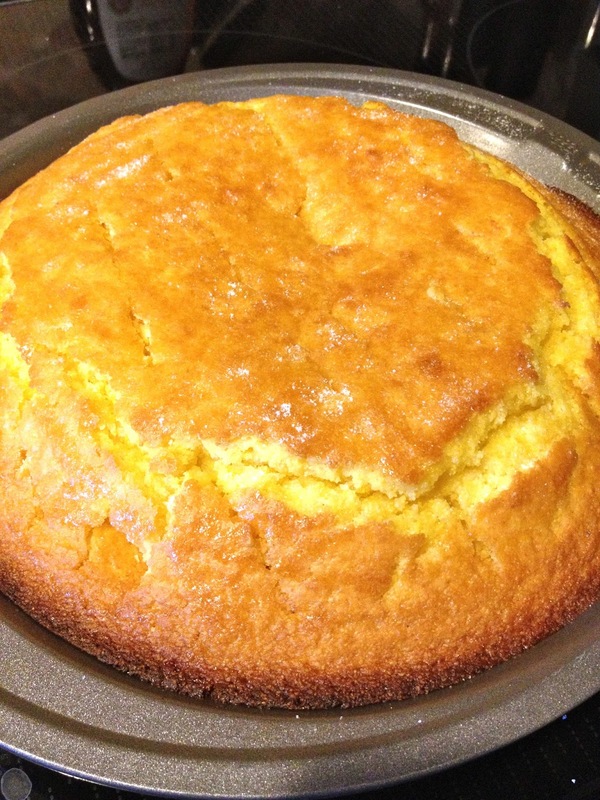 The holes help it soak into the cornbread. 5. Use a salt grinder and sprinkle a little sea salt over top. Then stick it in the oven for another 5 minutes or until toothpick in center comes out clean. The honey hardens a little while baking and so there is a sweet and salty crust on top. Yum! I will have my white chicken chili recipe up on Wednesday! 1. Preheat oven to 400F. 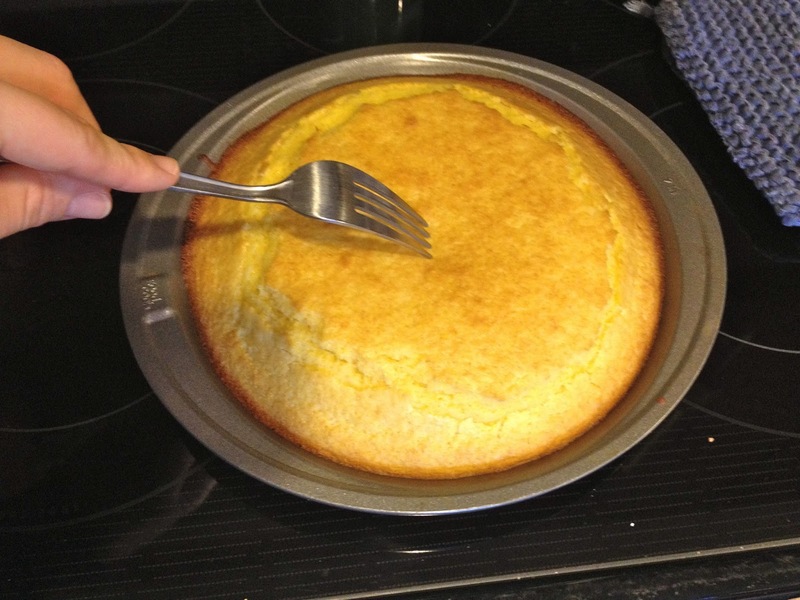 Grease 9 inch pie plate or cake pan. 2. 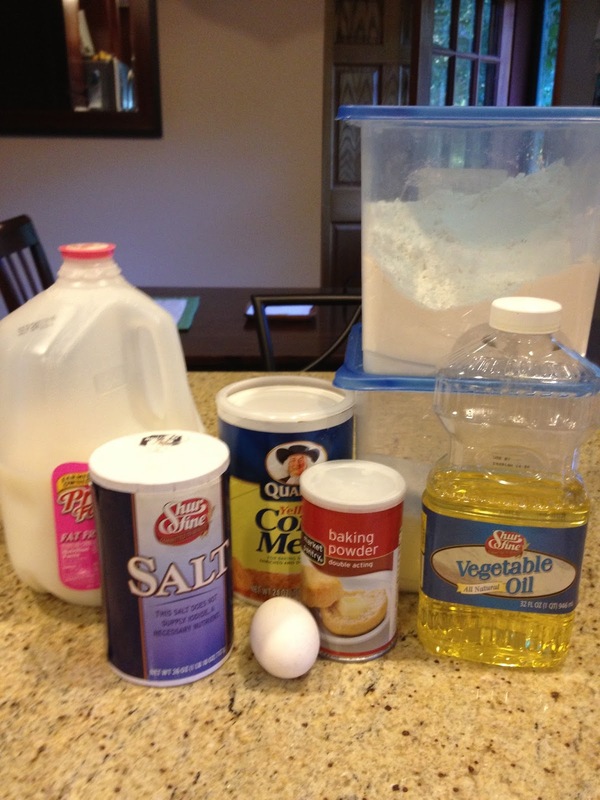 Mix all ingredients in large bowl. Pour into dish. Bake 17-20 minutes. 3. Remove from oven. Use a fork to poke holes in top of cornbread. Drizzle honey over top. 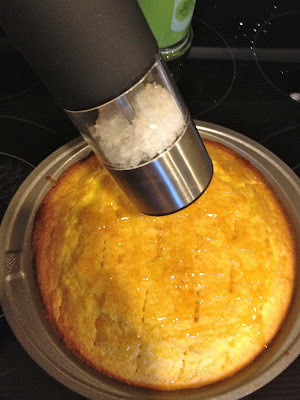 Use salt grinder to sprinkle salt over top of honey. Bake for another 5 minutes. Whoah this looks great! I'll definitely have to give it a try. Please parcel me some, because this looks so decadent and delicious!!! You should! 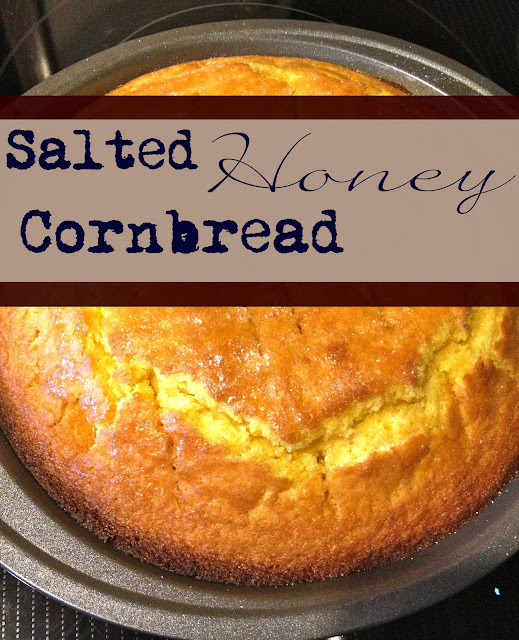 The sweet and saltiness of the honey and sea salt make it so delicious!